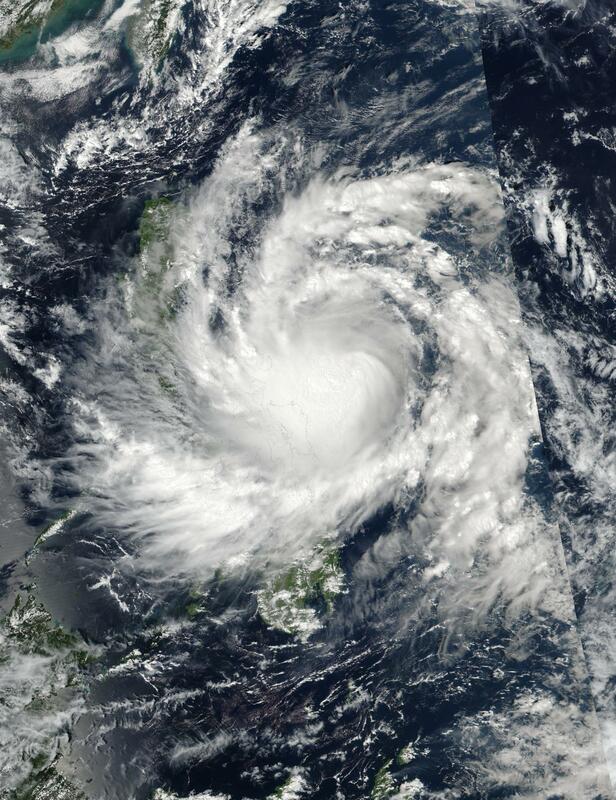 NASA-NOAA's Suomi NPP satellite provided a visible look at Tropical Storm Sarika after it formed and continued tracking toward the Philippines. Sarika was formerly known as Tropical Depression 24W. On Oct. 14, 2016, at 1:25 a.m. EDT (0525 UTC) NASA-NOAA's Suomi NPP satellite passed over Sarika and provided a visible-light image of the storm. The Visible Infrared Imaging Radiometer Suite (VIIRS) instrument aboard NASA-NOAA's Suomi NPP satellite showed the center of circulation just east of the Philippines, and storms in the western quadrant already affecting the country. The eastern quadrant of the storm was over the Philippine Sea. There are many warnings and watches in effect for the Philippines. Public storm warning signal No. 1 was in effect on Oct. 14 in the provinces of Albay, Sorsogon, Quezon (including Polillo Island), Aurora, Isabela, Quirino, Laguna, Rizal, Marinduque, Ticao and Burias Island, Masbate, Nueva Ecija, Bulacan, Pampanga, Cavite, Batangas, Metro Manila and northern Samar. Public storm warning signal No. 2 was in effect in the provinces of Catanduanes, Camarines Norte and Sur. At 5 a.m. EDT (0900 UTC) Sarika had maximum sustained winds near 52 mph (45 knots/83 kph). It was centered near 13.9 degrees north latitude and 126.6 degrees east longitude, about 328 miles east of Manila. It was moving to the west at 8 mph (7 knots/12.9 kph). The Joint Typhoon Warning Center expects that the system will intensify into a typhoon before landfall in Luzon. Passage overland will weaken the storm, but it is expected to re-strengthen after re-emerging into the South China Sea.